Have you ever just got up, looked in the mirror and thought, what is my hair doing? Or rather, what am I not doing to my hair? 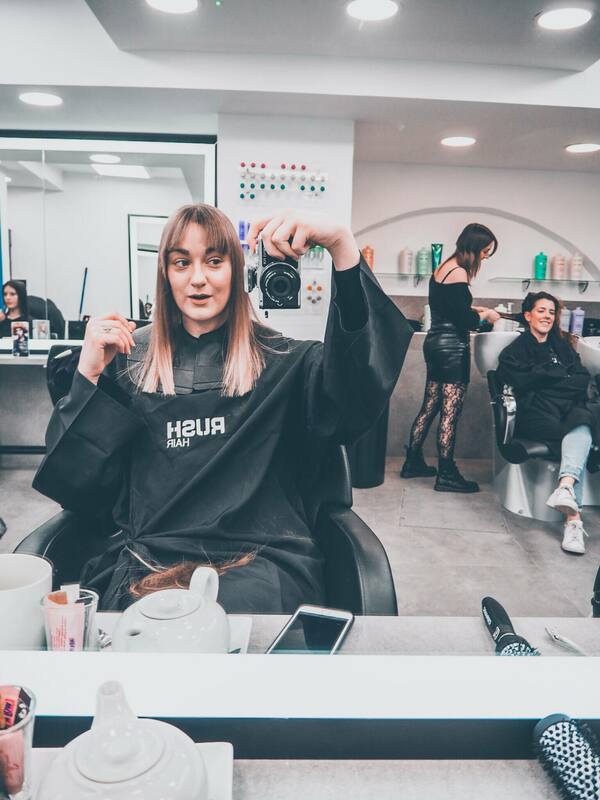 Although I am really good at maintaining my hair week to week and keeping it in good condition, I’ve not had anything done to it at a hairdressers since the last time I visited RUSH Shepherds Bush back in March 2018! So a whole year has passed far too quickly, and I was definitely thinking it was time for a refresh and restyle. 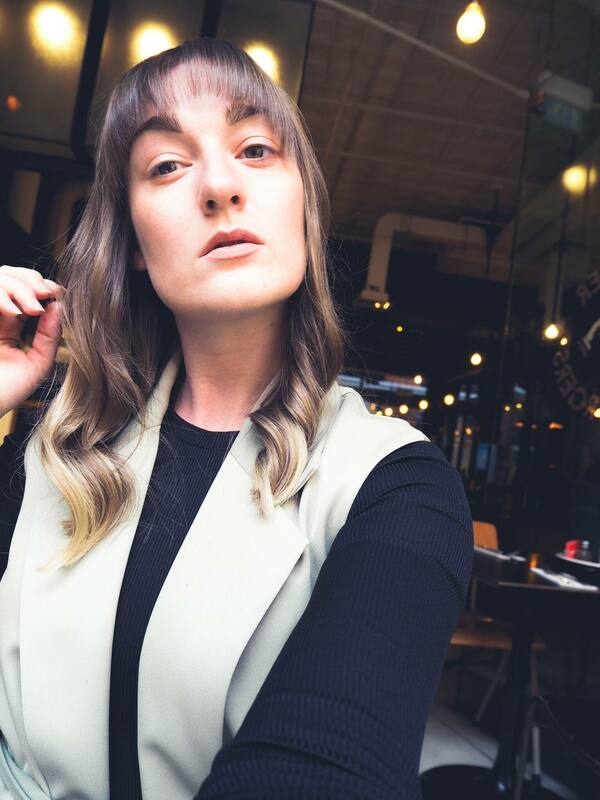 After watching several shows on Netflix trying to work out if I could pull certain hairstyles off, I finally made the decision to have a fringe cut. I used to have a side fringe about ten years ago, but this time I was older and wiser, therefore something a bit less teen and a lot more class was in order. 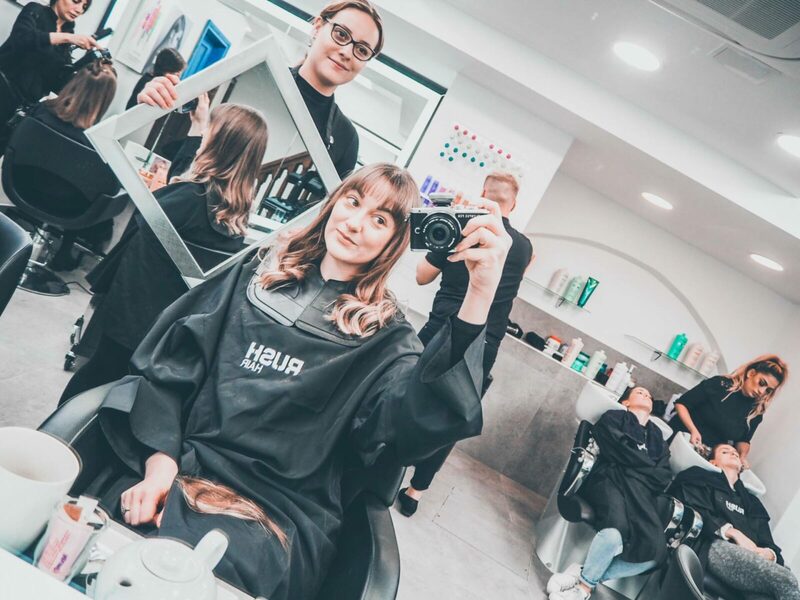 I made my way into London on a sunny Saturday morning and arrived at the brand new RUSH Farringdon salon just a few minutes walk from Farringdon underground. I was kindly invited by RUSH for my treatment, and I always look forward to working with the RUSH team every time we collaborate. 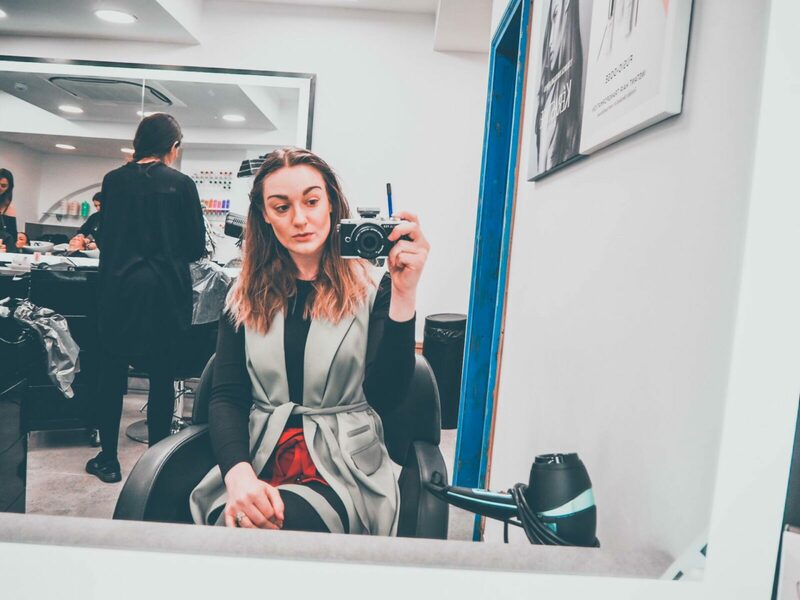 My stylist for the day was Romina, a Sydney stylist who had just relocated to London. I told her what I would like and she got really excited, knowing a big change was imminent. We took before and after pics against the coolest wall, and then got started! 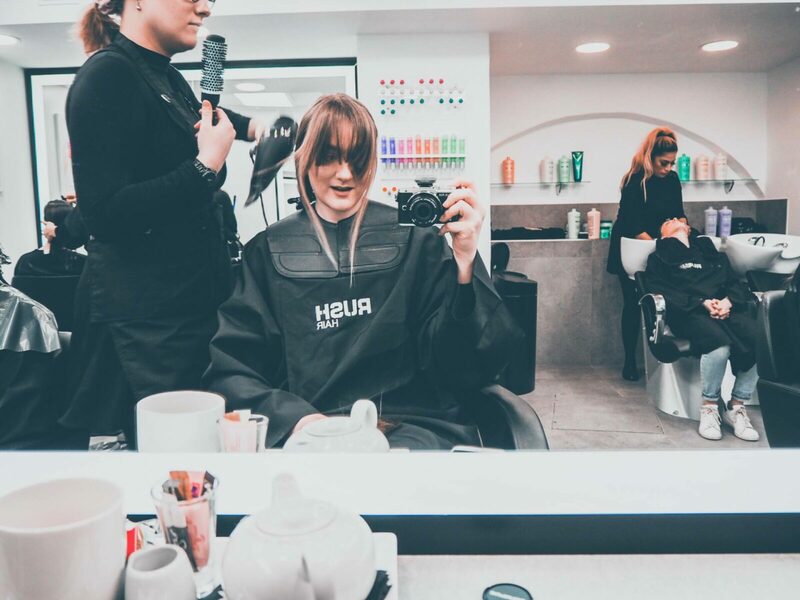 I was confidently calm as the scissors took to my locks and it was over in about five seconds flat. My short fringe bounced unnaturally either side of my forehead, the roots clearly not wanting to settle on a new direction. I thought it was amazing even before it was blow dried and styled. I stepped out the salon and found a Byron Burger a few buildings down that looked practically empty. I chose a window seat so I could make use of the sunlight to take my first pic avec fringe! My sister interrupted the moment by calling me in a state of shock after seeing my Instagram story of my salon experience. She demanded to see pics instantly, to which I obliged and then she said she loved it- phew! I’ve been blown away by all the positive and encouraging messages about my new look. 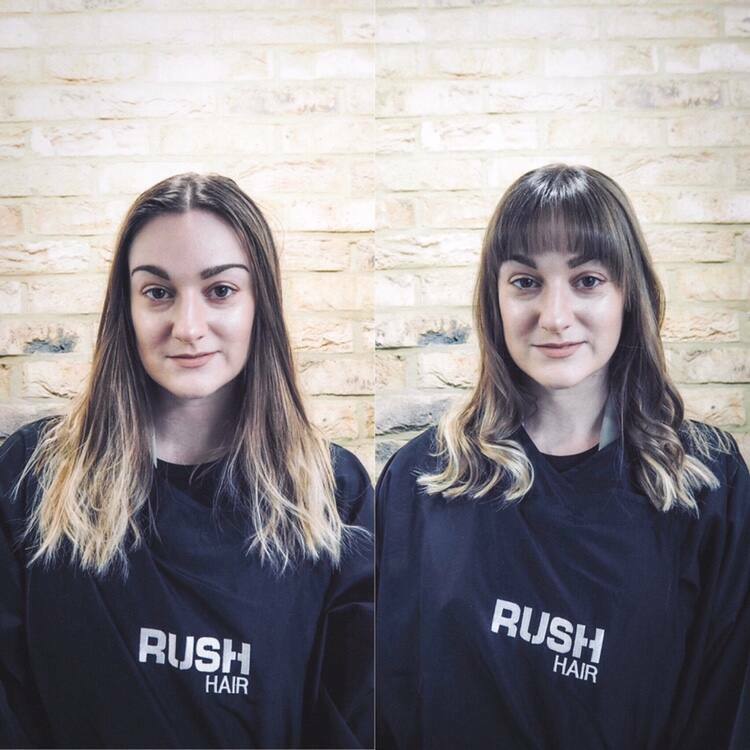 I wake up every day happy with my hair and I want to thank RUSH Farringdon and Romina for helping me achieve it! What do you think to the new do? When was the last time you had a refresh and restyle? If you’ve been on the fence about it, I urge you to take the leap and do it!